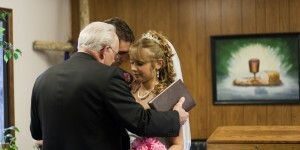 Here is a couple that I shot their wedding on May 29th, 2010 in Paris IL. Here is the couple with the pastor that is the Bride’s Grandfather. A Marriage is always best if God is at the head of the Home. 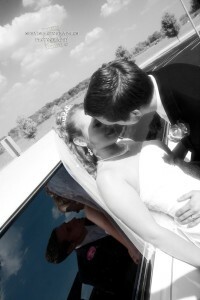 This photo I used the Limo’s window for a great reflection of the couple. 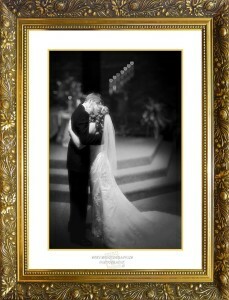 Anyone that joins Servisphotographics Facebook Page, gets 10% discount on any products that we offer. Contact us soon to get a Senior Cap and Gown shoot at half the price of Senior portraits! 812-223-1501 ask for Mike Servis. Here is a couple from a wedding at Bridgeton Mill.